In 1944, Niels Otto Møller began his cabinetry company, where old craft traditions are still used today. Danish cord seats are known for their durability and easily withstand decades of frequent use. 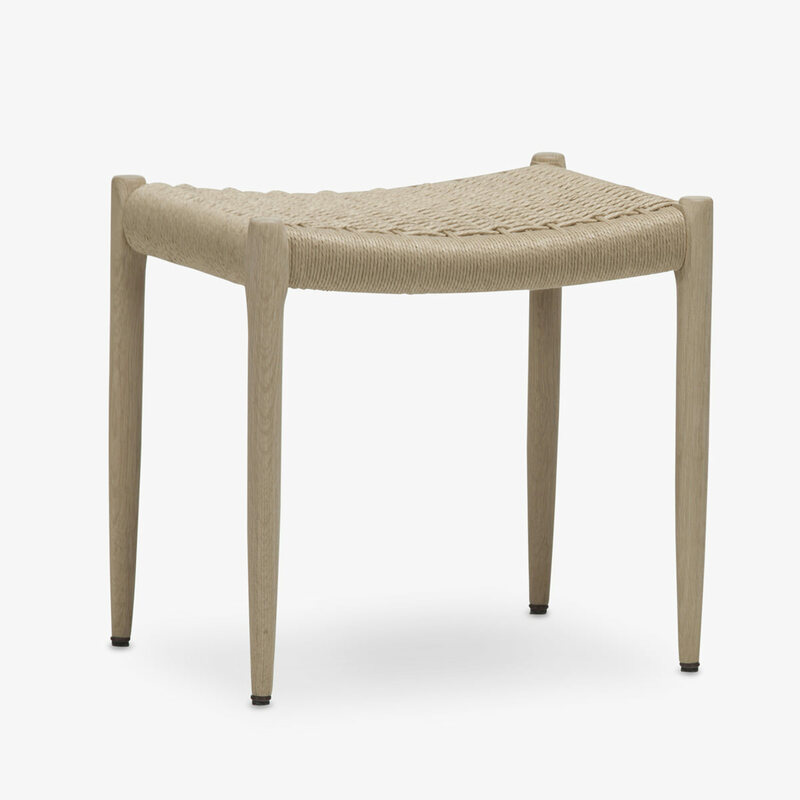 For over fifty years the craftsmen at Møller have skilfully woven each paper cord seat and bench with a single piece of cord around carefully selected wooden frames. Put your feet up on a Møller #80 footstool, use it as an extra seat for unexpected guests or a beautiful side table to your favourite easy chair. Available in an oak or walnut frame, with a natural or black papercord seat.